The Norton’s Point Association, of Manchester-by-the-Sea, MA, retained the services of NETCO to act as Owner’s Representative for the renovation of the Norton’s Point Road Bridge. The historic bridge was constructed in 1912 and spans a right of way controlled by the MBTA. 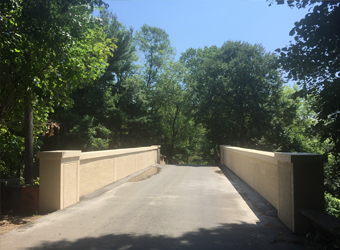 NETCO’s role in the project began with the search for an Architect and Structural Engineer to design structural improvements and architectural restoration of the bridge. Technical review of plans and specifications, communication and coordination between the owner, designer, MBTA and the contractor were the primary tasks for the duration of the project. Construction was completed in June 2015.